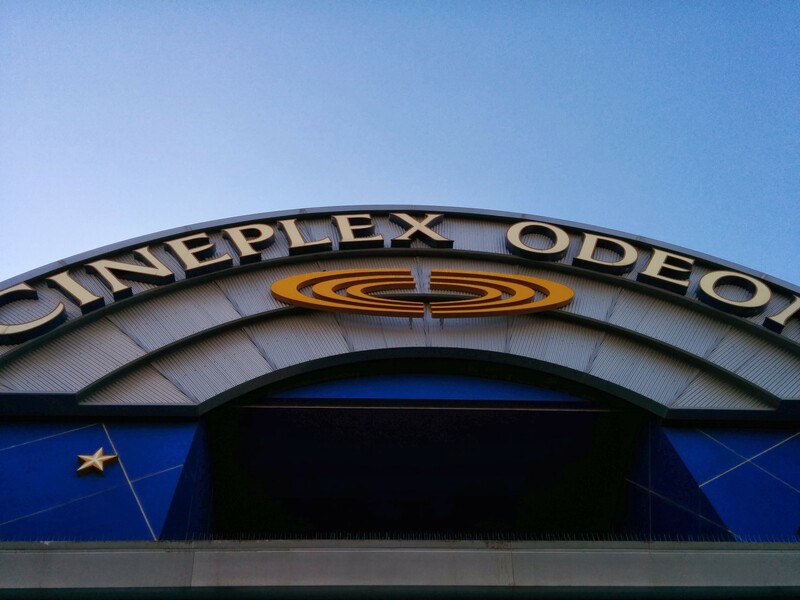 On my third visit to Windsor, Ontario, I enjoyed a first visit to the Devonshire Mall Cinema, which also served as my first Canadian filmgoing experience since 2001. It was oddly jarring to not experience the usual US filmgoing motifs before the film (i.e. “the following preview has been approved by the Motion Picture Association of America…) but only in a “wow, didn’t realize I take that for granted!’ kind of way. 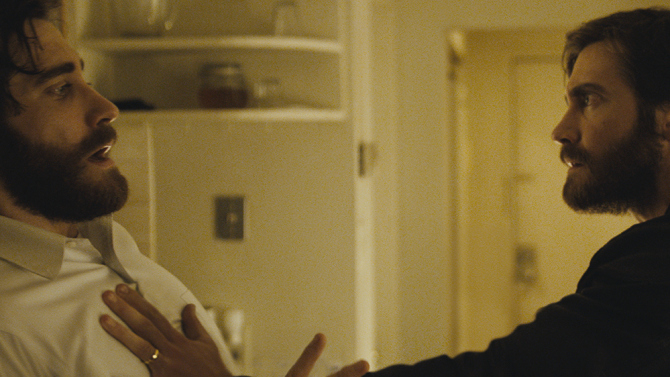 The film at hand, Enemy, was a sneak preview of sorts, as it’s not due to arrive in Ann Arbor for another two weeks, and currently seems to be only viewable in New York City for its initial US release. I felt a bit like I’d cracked a hot story, getting to see it before the rest of metro Detroit and most of the rest of the USA. The film “re-teams” director Denis Villeneuve and actor Jake Gyllenhaal, who collaborated on last fall’s Prisoners, but was actually shot before that film, and offers a much more satisfying cinematic experience than the wider-released recent film, which I thought was well – made, but too full of dread and gloom. Interestingly, in some reviews and press that I looked at after seeing Enemy, Villeneuve states that he could not have made Prisoners without having done Enemy… so go figure. Gyllenhaal masters a dual role, giving one of his finest screen performances in the last several years, initially drawing the viewer’s attention as Adam, a loner college professor who ambles through a workaday life in Toronto, droning to students at a local university and coming home to a dingy apartment, which he seems to share part-time with an attractive girlfriend (Melanie Laurent) and then repeat the same cycle for days on end. As seen to a more somber effect in Prisoners, Villeneuve masters elements of mood and style here, letting an omnipotent Bernard Hermann-esque music score racket up the tension in key moments, alongside cinematography of metro Toronto seen in hazes and sepia tones. I’m strongly tempted to see the film for a second time when it does arrive in Ann Arbor, not only to re-interpret the complex plot, but to soak up the compact and layered cinematic experience again. Posted on March 16, 2014, in Movies. Bookmark the permalink. 4 Comments. I do think Villeneuve got something very special from Gyllenhaal in Prisoners, something no one else has gotten from him before, so I’m very excited to see this one. Thanks for the comment! Hope that the film comes to Amherst Cinema – or that Hartford venue or somewhere else – pronto!